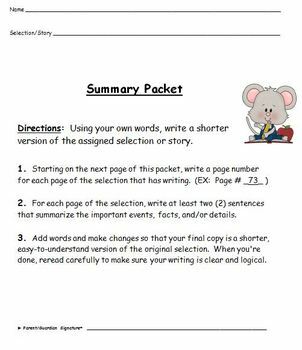 This kid-friendly packet makes it easy to write summaries. Students follow step-by-step directions to create a clear, logical, and complete summary of any fiction or nonfiction selection. 5) illustrate the importance of appropriate organization and use of transitions in composition. 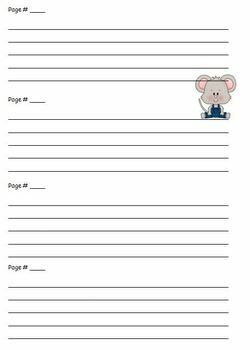 Students can complete this packet independently, in pairs, or small groups. 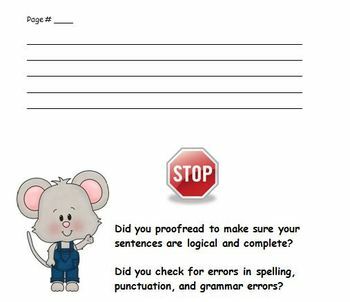 Completed summaries may be graded holistically or taken home for a parent signature. Teachers may also wish to have students read their completed work aloud to a partner or a small group of students. 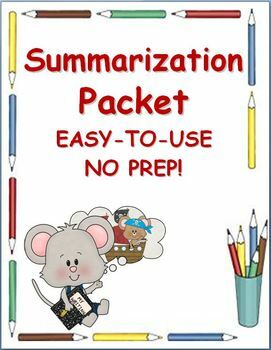 The materials in this download can be used over and over again to teach and reinforce summarization skills all year long. CCSS.ELA-Literacy.RL.3.2 - 5.2 Recount stories, including fables, folktales, and myths from diverse cultures; determine the central message, lesson, or moral and explain how it is conveyed through key details in the text.